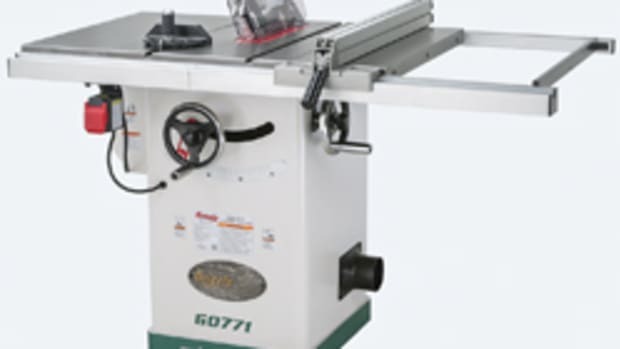 Grizzly Industrial has introduced its first hinge boring machine, model G0718. 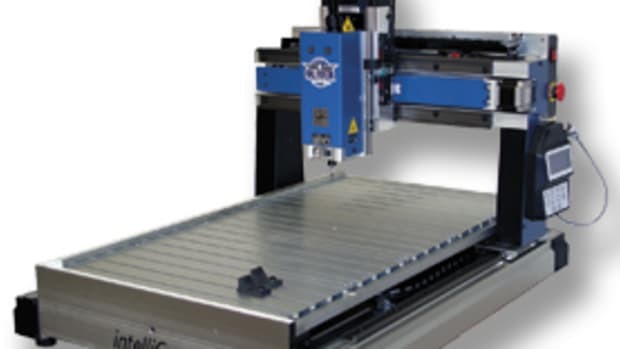 Powered by a single-phase, 1-hp motor, it produces hinge mounting holes for cabinets using European-style hinges. 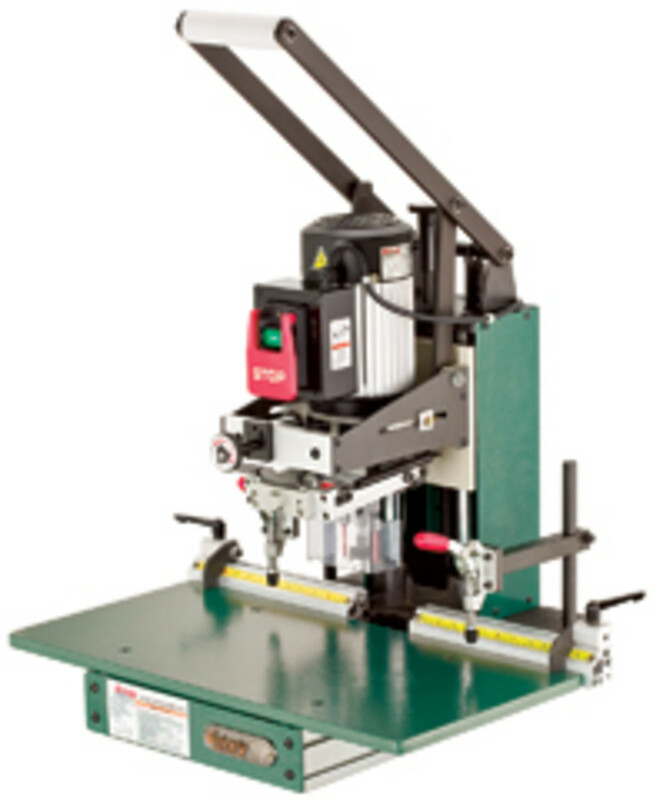 Hardware manufacturers have been the primary source for hinge boring machines in the past. 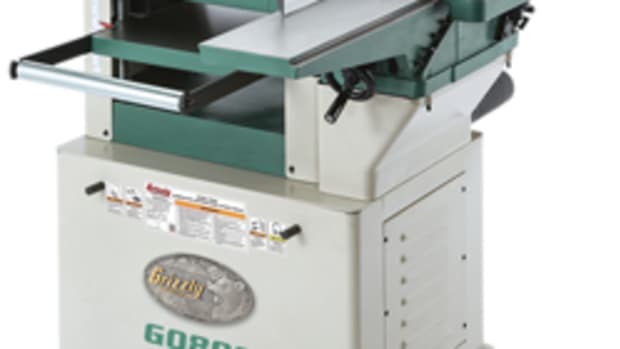 Grizzly&apos;s entry into this bench-top machine category fills a void, according to Bill Crofutt, the company&apos;s quality control manager. "Over the last few years. we have received many requests for us to produce a hinge boring machine. Since they are often very specialized - that is, a limited number of hinges are compatible and expensive - they tend to be out of the reach of many of our customers who could increase their production if they had one," he says. Grizzly&apos;s hinge borer features a head with depth-stop adjustment, lateral adjustment, and swing arm for aligning hinge position. "The boring head is machined from solid billets of 6061 T6 aluminum. It is very well made, strong and extremely accurate," says Crofutt. 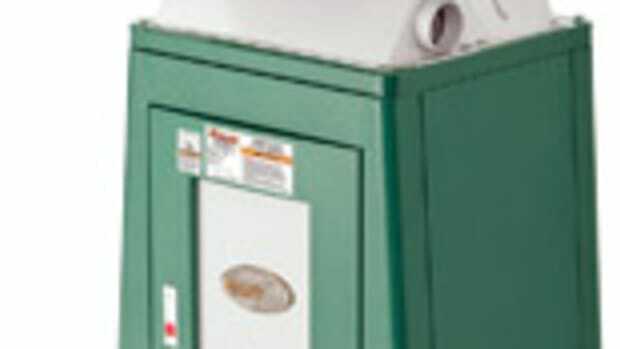 "It also utilizes a grease fitting to increase bearing life. 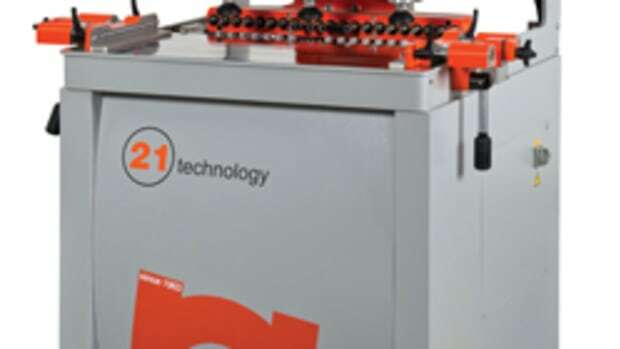 Since it is easy to change, the same machine can be used for different hinge manufacturers with almost no downtime. 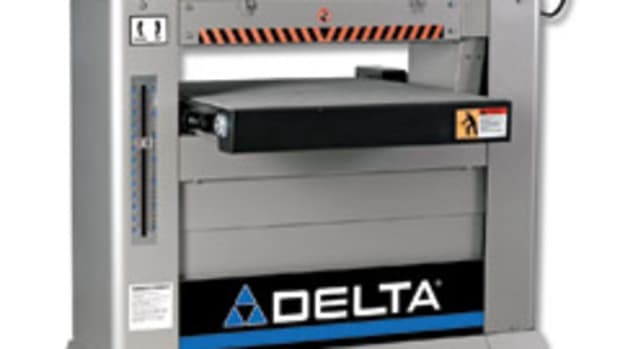 The entire head assembly can be easily and accurately adjusted to position the hinge the desired distance from door edge and with the built-in scale and micro-adjusting feature, it&apos;s fast and easily repeatable. The twin-column design is very rigid, which makes the boring action smooth as silk. 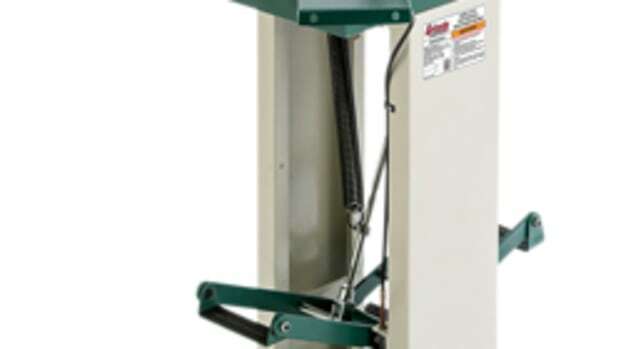 There is also a micro-adjusting depth stop with scale and a magnetic flip-down fixture that holds the hinge while boring, then flips down and allows the machine to press it into the hole." The head and bits can be changed to accommodate a variety of hinge brands. Grizzly offers three heads and a selection of adjustable boring bits as accessories. The fence features flip stops, hold-down clamps, extensions and interchangeable scales. "The fence consists of three pieces of extruded aluminum, two of which are mounted to the machine table. The extension easily switches to either side and the machine is standard with a left and right scale to be used depending on which side of the boring head the extension is placed," says Crofutt. Other features include a manual down-feed handle, see-through guard and 4" rear dust port. 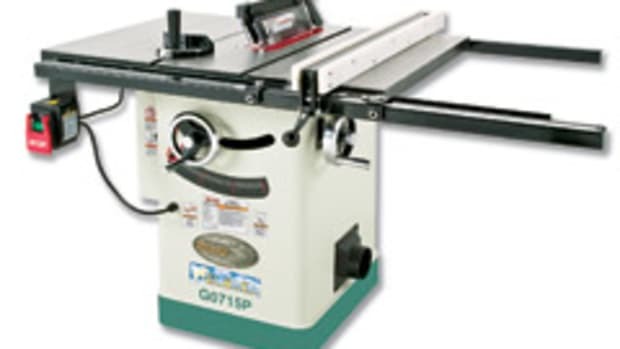 The Grizzly hinge boring machine, model G0718, sells for $2,395. "This is a very high-quality, heavy-duty machine that will be accurate and reliable years down the road," adds Crofutt. 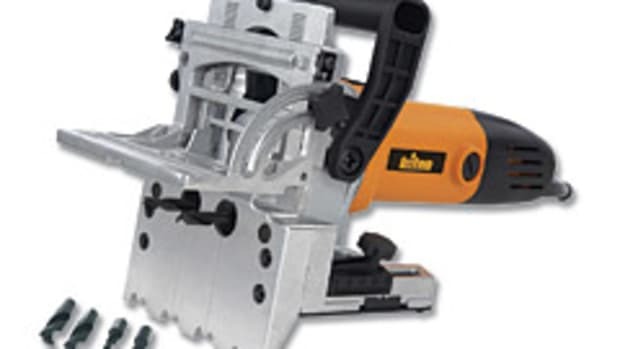 "The fact it accepts different boring heads and is easily adjusted for hinge positioning can make this the only hinge boring machine a shop needs to cover the majority of hinges common to the U.S. market."